A large, tented gallery in Perth Concert Hall plaza displaying over 300 works of Scottish Contemporary Art and Craft. “arTay”, will run for four days, with free admission. 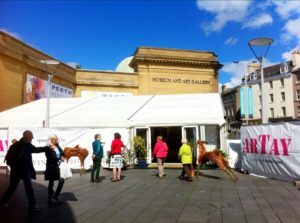 It will feature the work of over 80 artists and makers drawn from all over Scotland, including many well-known artists, as well as some who are beginning their artistic careers. . arTay is a unique event as it’s not an art fair and is a much bigger exhibition than any normal commercial gallery could hold. The main aim of arTay is to make Contemporary Scottish Art as accessible as possible. All artworks are for sale. The witches have a prophecy: Macbeth will be king. But royalty comes at a price. The cost of power is betrayal, murder and revenge. Follow Verdi’s Macbeth in a blood-soaked journey to the throne and watch a guilt-ridden Lady Macbeth descend into the depths of despair in English Touring Opera’s new production. 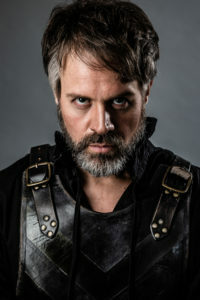 Starring Grant Doyle (Macbeth) and Madeleine Pierard (Lady Macbeth) in Verdi’s interpretation of Shakespeare’s iconic play. Sung in English. Some pop stars make music for the sake of it. 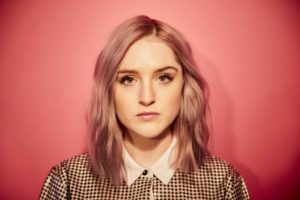 But for Be Charlotte – 21-year-old Dundonian – music is about meaning. Since starting to find her voice as a teenager, Be Charlotte has been all about finding inner strength and inspiring others to do the same, and is ready to speak up. 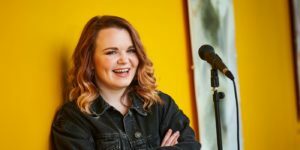 Leaving school at 17 to concentrate on music, she has played extensively around Europe, North America and Africa, honing her songwriting craft by taking in influences from classic songwriters, modern pop and hip hop. Taking on a male-dominated industry, Be Charlotte aims to challenge that hegemony with her mix of anthemic songwriting, shimmering pop synth sounds and banging beats. You can dance to her music, but there’s meaning behind it too. Pianist, bandleader, singer, composer, television presenter and multiplatinum recording artist. It wouldn’t be Perth Festival of the Arts without Jools Holland on the bill! Jools Holland returns this year with special guests, accompanied by the sound of his unforgettable 19-piece Rhythm & Blues Orchestra. Featuring Gilson Lavis, with special guests Pauline Black & Arthur “Gaps” Hendrickson from The Selecter, and guest vocalists Ruby Turner and Louise Marshall. 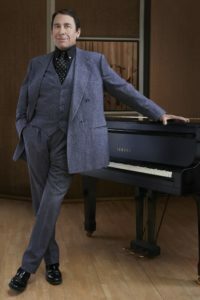 From playing pubs in the East End docks as a teenager, to leading his Rhythm & Blues Orchestra and selling millions of records, his passion for music and formidable live performances have made Jools Holland a legendery figure in the music industry. Jools was awarded an OBE in 2003 for his services to the British music industry. This will be Jool’s tenth visit to the Festival. He first came in 1998 to play in Perth City Hall and is a great favourite with the Festival audience. Guaranteed to be a fantastic night out and always a sell-out, so book your tickets quickly! On our journey, we’ll meet many beautiful strange creatures from the clowns of the air to the ever-hungry gulper eel, discovering and drawing them all as we descend through the depths. This fantasic voyage ends with everyone joining together to create a monster deep sea drawing! Jill is an award winning illustrator and calligrapher with a love of drawing, ideas, colour, ink, typography, stories, books, dogs and deadlines. Jill studied at Edinburgh College of Art and later at Glasgow School of Art, graduating in 1992. Her work is commissioned for children’s picture books, large hospital murals, reports and advertising campaigns. 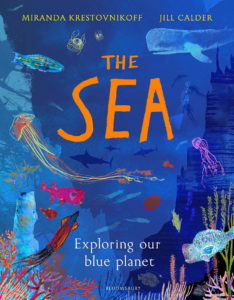 Jill’s next book, ‘The Sea’, written by Miranda Krestovnikoff, will be published in April 2019. A one-man play, set in Newport, South Wales at the turn of the last century, is a coming-of-age story. 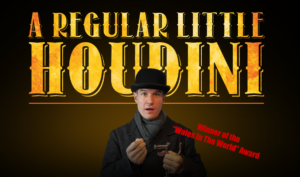 A lowly dockworker’s son idolises his hero, Harry Houdini, and commits himself to a life of magic, but the harsh reality of working class life in Edwardian Britain gets in the way. As he trains himself to emulate his hero’s escapology on the industrial detritus, his parents struggle to come to terms with their son’s eccentricity. With a head full of magic, our boy witnesses the most terrifying events of British industrial history and his personal journey collides with the world’s greatest showman himself, changing his life and the future of his community. The organ recital will be preceded at 430pm by a traditional Choral Evensong of music, psalms and prayers led by the choir and choristers of Perth Cathedral. Welcoming people of all faiths, Evensong is an opportunity for peace and escape from the busyness of everyday life. Festival audiences are welcome to attend from 430pm for both Evensong and the recital (refreshments served in-between) or to attend at 6pm for the recital only. This is event is free admission. There will be a retiring collection for the Cathedral and the Festival. 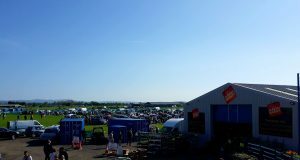 This year’s Spring Tour will feature a mix of long-established Fairport favourites and some exciting new material. 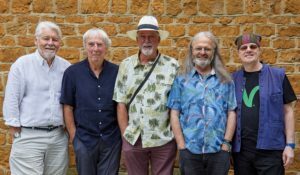 Fairport Convention has attracted critical acclaim: the band has won a coveted BBC Lifetime Achievement Award; Radio 2 listeners voted Fairport’s ground-breaking album Liege & Lief ‘The Most Influential Folk Album of All Time’; and their story has been celebrated with a major television documentary on BBC Four. Victor Borge was a brilliant pianist, virtuoso comedian and “the funniest man in the world” (New York Times). In the 1960s he became the world’s highest paid entertainer, loved by audiences around the globe – a career which lasted to his death in the year 2000. 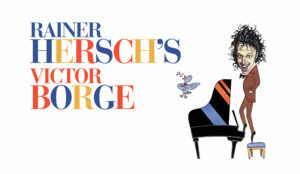 In this award-winning show, his extraordinary life is retold and his hilarious act re-imagined for the 21st century by his natural successor, Rainer Hersch. A virtuoso comedian in his own right, Rainer has been entertaining audiences with his own brand of musical humour for over twenty years. A total sellout at Edinburgh Fringe Festival and in appearances across three continents, this show is “a tearstreamingly funny tribute” from one great performer to another – a treat for Borge fans and newcomers alike. At Perth Festival, Rainer Hersch teams up with internationally acclaimed pianist Danny Driver and Spanish soprano Laura Ruhí Vidal to re-ignite the magic of Victor Borge’s classic routines. Don’t miss this “Broadway calibre show” (Montreal Gazette) with musicians of the highest calibre and comedy like no other on the stage today. We are delighted to be joined by pianist Danny Driver and soprano Laura Ruhí Vidal for a colourful programme that interlaces piano music and song written between 1903 and 1917. Debussy’s stately evocation of ancient Greek art and his mystical conjuring of an evening in Moorish Granada introduce song cycles by Ravel and Falla. The recital closes with Ravel’s piano work Le Tombeau de Couperin, an intimate yet virtuosic homage to French baroque keyboard tradition, and at the same time a memorial to friends and acquaintances killed in the Great War. Tickets include teas and coffees prior to the performance. The enthusiasm and appreciation of audiences and critics around the world has cemented Danny Driver’s international repuation as a versatile and creative pianist of sophistication, interpretative insight and musical depth. His recordings have earned three Gramophone Award nominations, Limelight Magazine’s Instrumental Recording of the Year 2014, and recent selection in the New York Times’ 25 Best Classical Records of 2017. Solo recital invitations bring Driver to concert halls across Europe, Asia and North America, while concerto engagements have taken him to orchestras including the Orchestra of the Age of Enlightenment and frequent collaborations with the Royal Philharmonic Orchestra. In a decade-long relationship with Hyperion Records, Driver has produced an acclaimed solo discography. Soprano Laura Ruhí Vidal (Girona, 1990) graduated from the Opera Course at the Guildhall School of Music & Drama, where she also studied the BMus (Hons) and was awarded Artist Fellowship. While opera is her great passion, Laura has a wide range of experience in the UK in festivals and venues such as Cadogan Hall and The Barbican. Laura’s operatic roles include Madame Herz in Der Schauspieldirektor, Papagena in The Magic Flute and Zerlina in Don Giovanni, to name a few. Laura has also performed regularly with the Maria Camahort Quintet, a chamber ensemble peforming traditionally rooted Spanish classical music. 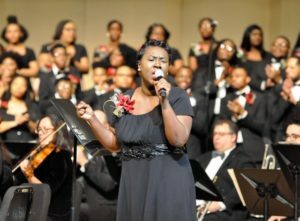 Onstage, she has received praise for her effortless stage presence with impressive contact focused performance, sure technique and beautiful lyrical line, expressing emotion and warmth. Based all around Europe, Yamaha NEO Ensemble come together to perform a range of reportoire from Debussy to Piazolla. 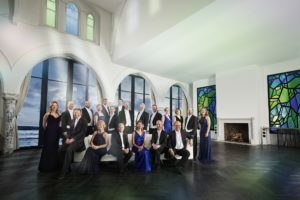 For their appearance at Perth Festival of the Arts, they will be inviting students from local schools to perform alongside them in Perth Concert Hall.